For what seems to be a quiet time during these holiday seasons, we have been laying the foundation for easier interoperability with different social networks and non-members. The previous year, 2018, helped establish the direction that Mirror Island will take for this year, including the ability to save and share notes in an upcoming cross-platform app. Instant sharing on major social networks. From the menu in the top-right of every post is now the option to share it with popular social outlets. The feature to send the post as an email is still there and accessible from the same menu. Reply to any page or post with email. 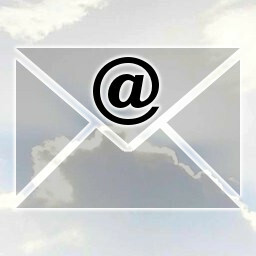 It is now possible to add a reply to any page or post simply by sending it an email. Attachments aren't handled yet, although that feature is planned for on of the next major releases. In the future, we will work out ways to make this user friendly and to keep "junk mail" from appearing in threads, but at least this part is functional now. First version of web scraping. When pasting a link in a blank document, information about that page will be automatically included in the post, as well as the option to display any images that are included in that link. This feature is in its early stage, so its functionality might change depending on well this works out for us. Numerous other changes included cosmetic updates and fixing bugs affecting performance and usability. We're currently at version 0.1.1 with our current focus on updating the documentation explaining how to install and use Mirror Island, and changing the CSS to allow this website to be usable on multiple devices with responsive design. Only the sender and recipient(s) can edit this. Only the sender and recipient(s) can moderate users and replies. --000000000000649d900585d0c057 Content-Type: text/plain; charset="UTF-8" Doors this work? --000000000000649d900585d0c057 Content-Type: text/html; charset="UTF-8"